He’s at the Frist Center. He’s at Cheekwood. He was at TPAC with the Nashville Symphony. And now he’s on NPT. This Thursday, June 17, beginning at 8:00 p.m., NPT is proud to join its fellow arts organizations in Nashville in celebrating the work of world-renowned glass artist Dale Chihuly. We’ve got two documentaries on tap, an original production exploring his current installation exhibition at Cheekwood, Chihuly at Cheekwood, at 8:00 p.m., followed by Chihuly in the Hotshop at 8:30 p.m., an HD foray into the artist’s process from initial design to completed piece. Viewers will delight in the detailed look at the Yellow Herons and Blue Marlins bathing in the water gardens, and be moved when the doc transitions to “Chihuly at Night” and the sculptures, including Saffron and the centerpiece Sun, take on a new sensation when the sun goes down. Chihuly in the Hotshop, directed by Peter West, starts in the summer of 2006 at the Museum of Glass in Tacoma, Washington. Chihuly was invited to work there in the Museum’s state-of-the-art hotshop, an amphitheater specifically designed to allow the audience to watch the action close at hand. Chihuly soon set forth on an ambitious program to capture the sum total of his work in glass over the last thirty years. His best-known series are revisited in the doc, along with more than forty artists and gaffers who had worked with Chihuly at the time of the inception of each series. This entry was posted on June 15, 2010 at 12:11 pm. You can follow any responses to this entry through the RSS 2.0 feed. You can leave a response, or trackback from your own site. 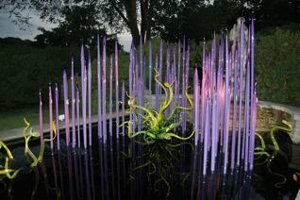 6 Responses to "Chihuly at Cheekwood and in the Hotshop"
When will Chihuly in the Hotshop be shown again on NPT? Monday, June 21 at 8:00am and Tuesday, June 22 at 8:00pm. NPT2 is currently available to viewers on Comcast Digital Cable channel 241, Charter Digital Cable channel 176, or over-the-air on channel 8.2. Will “Chihuly in the Hotshop” be shown at any other days and times? Indeed. 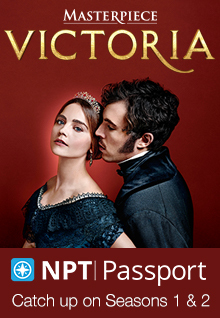 One more broadcast added on our main NPT channel Saturday, June 26 at 7:30pm. Is it possible to purchase copies of these documentaries? Chihuly in the Hotshop is available at a number of online retailers, such as Amazon.